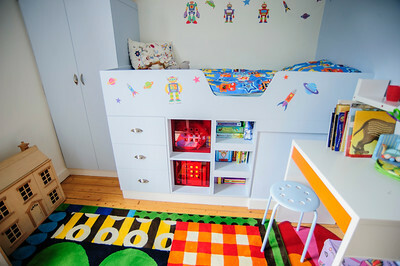 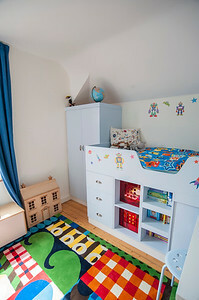 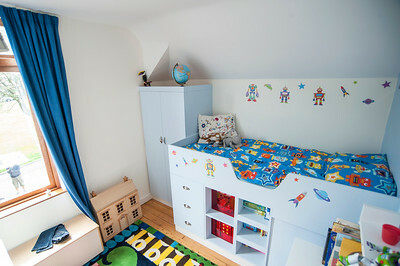 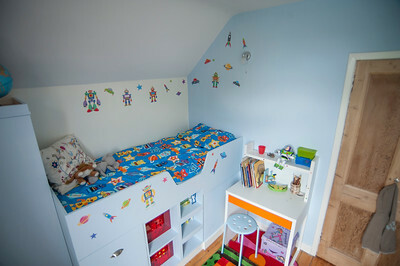 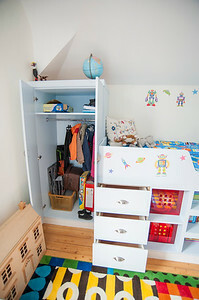 Childrens built in bed and wardrobe with hand painted finish. 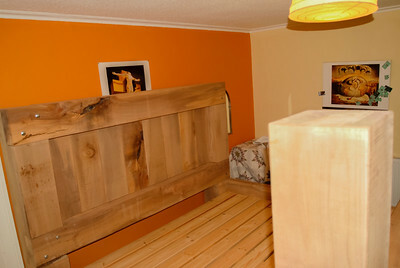 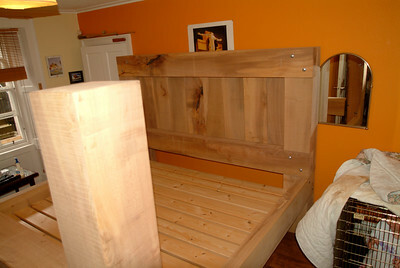 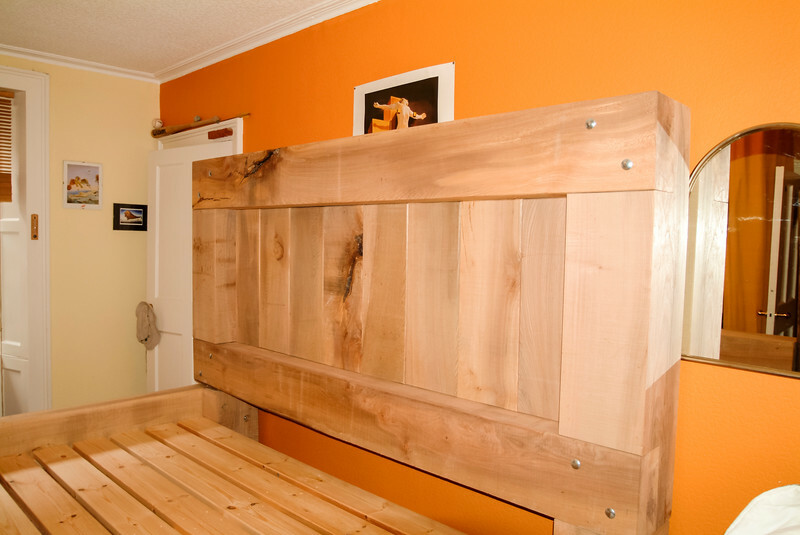 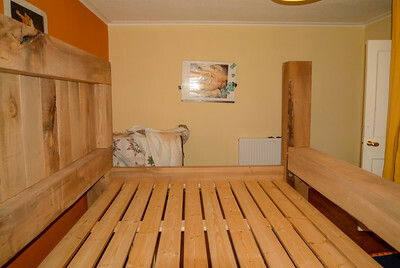 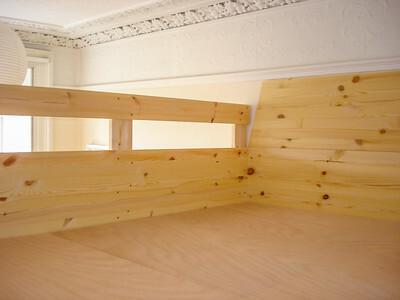 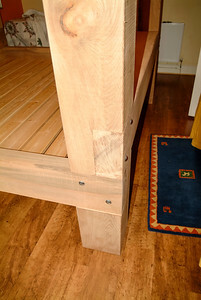 3/4 ton double bed made from green Yew. 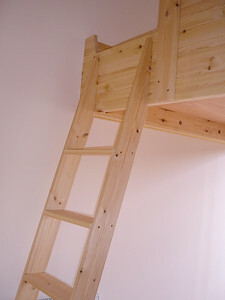 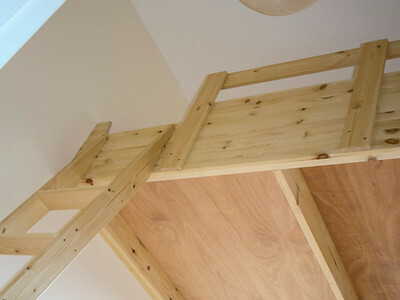 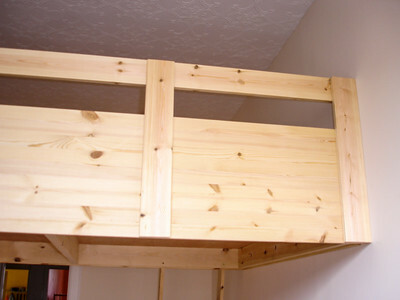 High level bed, for added room in the bedroom.